The effects of human abuse on the planet are striking, and no longer deniable. Taking care of our Earth has become more relevant with each passing year. Illac Diaz, Executive Director of the Liter of Light Global Foundation, is dedicated to renewable, sustainable and eco-friendly solutions. He is passionate about bettering the world that we live in and in fact gained international recognition for his resourceful, ingenious solar powered plastic bottle light system. 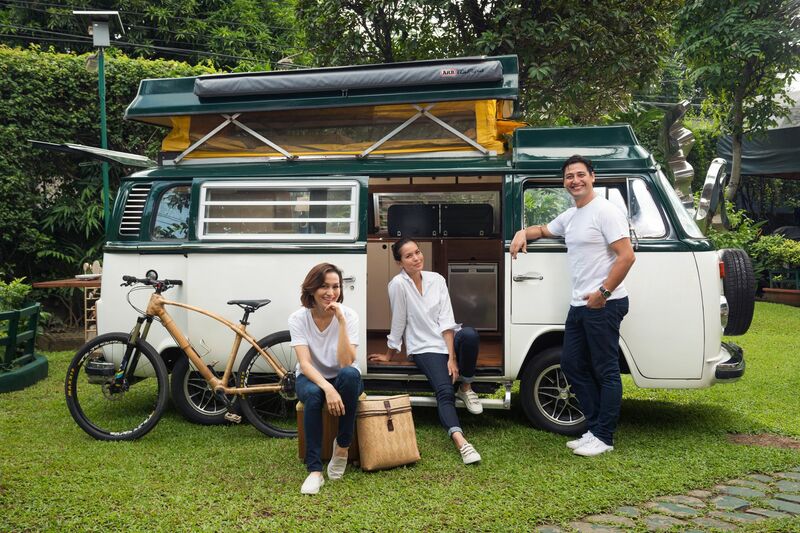 To further promote awareness on sustainable energy, Illac and the Liter of Life team teamed up with the Kienle sisters, Stephanie Kienle Gonzalez, COO, and Jessica Kienle Maxwell, Head Designer of Philux, to embark on a very exciting new endeavour. Philux is also dedicated to using sustainable woods, fabrics and practices in the development of their products, and contributes to the protection of the Philippine forests. Stephanie and Jessica were thrilled at the chance to work on this project to help improve the environment while improving the lives of many in rural areas of the Philippines. In order to promote energy sustainability in an innovative way, they have created a Green Mobile Home! They immediately got to work on designing the interiors of a vintage VW Kombi van that uses 600 watts of Green Heat solar panels. Its lights are LEDs by L&S, and its power sockets by Mainline Power are fire safe. The tasteful interiors by Philux utilise sustainably grown Acacia wood and green upholstery to pay homage to earthy, natural elements. The goal of the Green Mobile Van is to be a mobile educational facility where the team can teach more Filipinos about the benefits of sustainable energy and being eco-friendly. Liter of Light’s vision is to end the country’s energy poverty one bottle at a time. With the help and support of Philux, The Green Mobile Home will serve as a hub for solar energy workshops in provinces throughout the country, showcasing recycled plastic bottles that are solar powered!